Even though the cost of their Pay-Per-View trilogy fight has dropped from $49.99 to $39.99, Golden Boy CEO Oscar De La Hoya claims that both Chuck Liddell and Tito Ortiz will make the most they’ve ever made for one fight on November 24th. Liddell and Ortiz confirmed to reporters last week at their media workouts that they both could make the most money in their careers, but it depends on the numbers on Pay-Per-View, which has had the price lowered to $39.99 following criticism from fans over a $50 price point for a fight between 48-year old Liddell and 43- year old Ortiz. 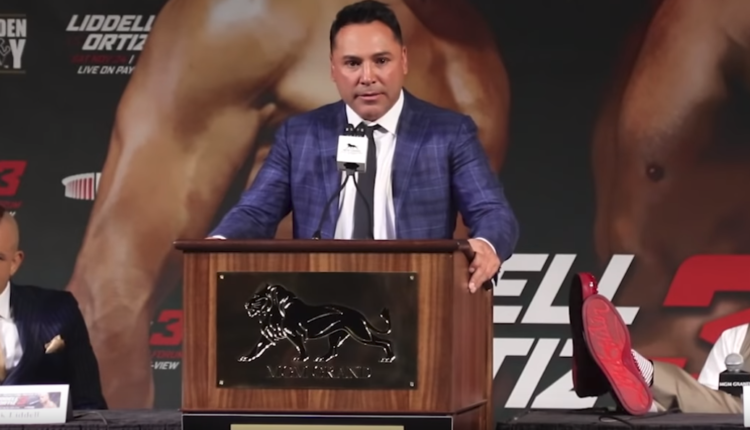 “I’m a promoter that loves to share all revenues and whatever revenues are coming in, we’re gonna share it,” De La Hoya said in a potential shot at rival and UFC President Dana White.